Burp cloths is something a mom with a newborn could always use. I haven’t been able to save them from the past because each baby totally trashes them. I use burp cloths all the time when nursing and burping the baby. I found some adorable flannel fabric at JoAnn a while ago. I knew I needed more burp cloths. So I bought a few yards and got working on them. Since Eve is such a young baby, this Christmas she is getting mostly practical gifts. One of which being these burp cloths. And I made a few extra to give away as baby gifts. I used half yards of two different prints to make four 10 x 18 inch burp cloths. These are so simple and quick to make. I made 12 of them in three days, that’s with plenty of children interruptions and working on them mostly during nap times and after bedtimes. 1. 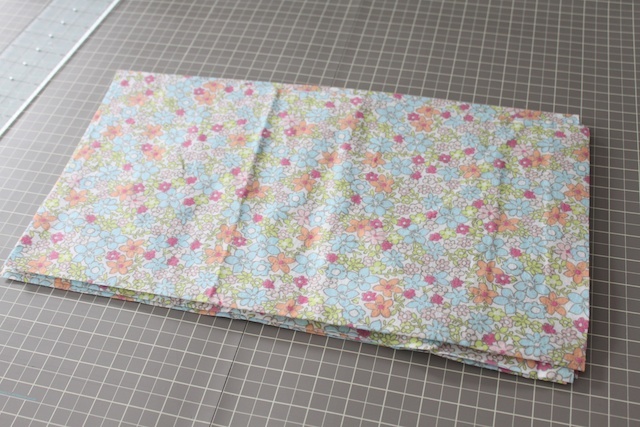 Cut your fabric 10 x 18 inches, you should be able to get 4 burp cloths out of 1/2 yard of fabric. 2. Place the two different fabrics together with the wrong sides together. Round the edges of each corner. 3. 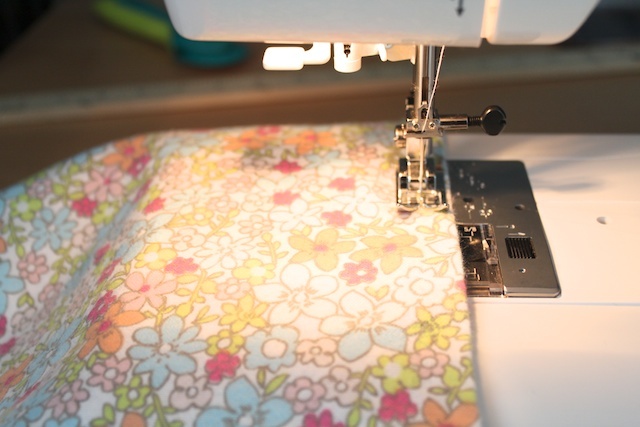 Sew the edges all the way around using a serger or straight stitch 1/8-inch around the edges then zig zag stitch inside the 1/8-inch. 4. 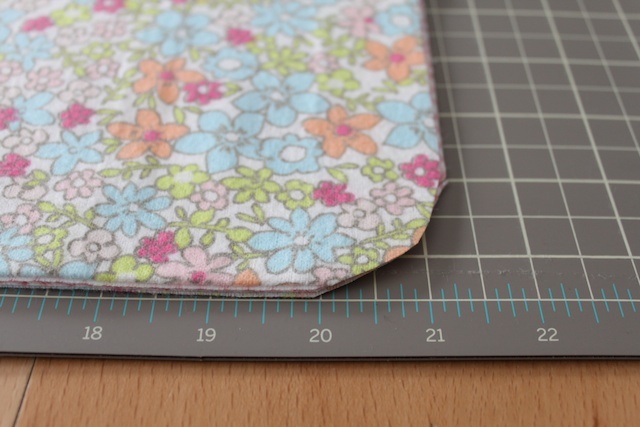 Blanket stitch over the sewn edges all the way around the burp cloth. 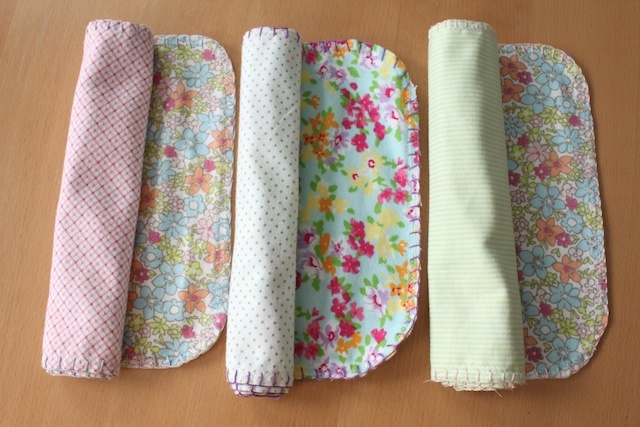 When you wash these, the edges may fray a bit, but not too much because you sewed the edges. 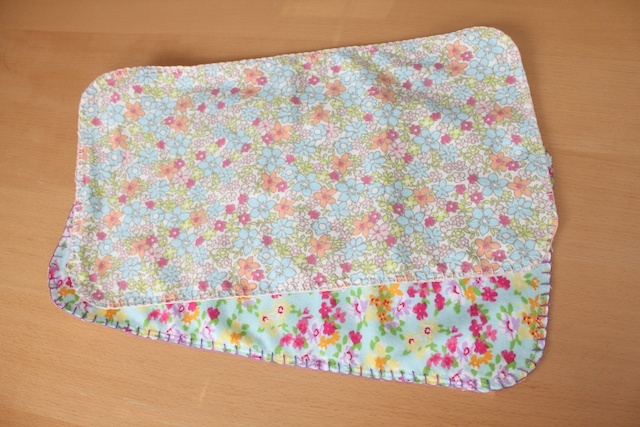 » Tell me… Do you use burp cloths with a newborn? Do you make your own or buy them? those are so cute! I ALWAYS used a burp cloth while nursing and burping and I would sometimes put one under my baby during tummy time, just in case. Getting ready for baby #2…can’t wait to make some of these! I wish I could make these! They are beautiful, and as my girl just spit up all over me, I could surely use some more!! Great idea. I will make these, but will put right sides together, turn and then blanket stitch for a smoother and more finished gift. This is so cute, where do you manage to find such cute patterned fabrics? i found these at joann. i was surprised to find such cute flannel fabric at joann. I don’t use burp cloths lol. It’s funny I know but I just don’t. I never remember to grab them. And what’s crazy is I’m about to have my fourth! You’d think I would have learned by now. These are cute! I am working on some right now! Thanks for the instructions. Did you do the blanket stitch by hand or by machine? I have a good friend who is due in a few weeks, and happen to have some cute flannel… I’d better get to work! ps. 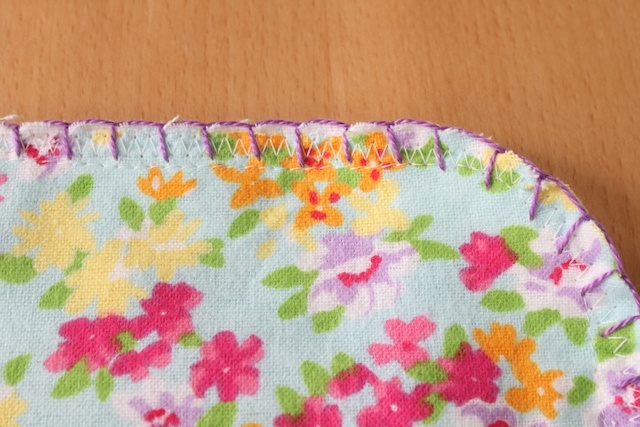 What does Angie (previous poster…) mean by saying she’ll keep the right sides together, turn and then blanket stitch for a smoother and more finished gift? I’m just wondering what the difference would be. Yours are so sweet, but I do like a more finished blanket stitch… I was thinking I may just zigzag…???? Very cute! 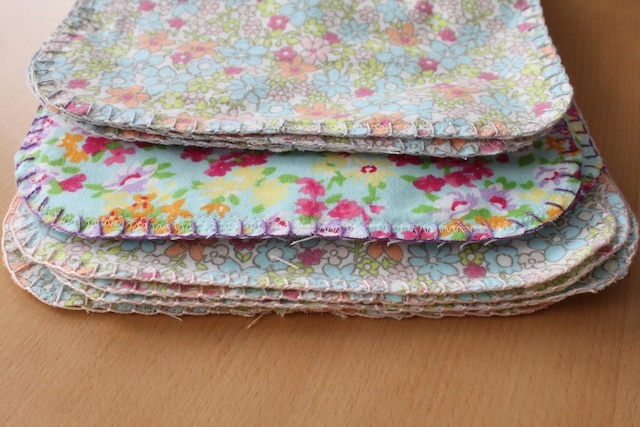 I like Angie’s idea of putting right sides together, turning right side out and then blanket stitching. Looks nicer and avoids all those stray threads! my niece does not have much time to sew and is a beginner so I showed her how to use her inherited old serger to finish the edge then use a wide applique stitch to blanket stitch the edge, Her friends love them. She also used the idea for blankets for preschool children and pet beds. Her friends are also getting puppies and kittens. I tried it exactly like shown here and I really hated to thread showing underneath the blanket stitch. So I did all the rest inside out then turned and blanket stitched them. I made a ton of them, so I was a little lazy with some and just served them with the pattern facing out and no blanket stitch. They are adorable. I know my sister in law will love them. Thanks for the great idea and tutorial.